14th July BBC Radio Solent Featured item on Julian Clegg show – Interview with Madge Heath from the Shirley Local History Group about the International Family Day event that took place in St.James’ Park on Saturday 16th July. Click here to listen to clip – available until Saturday 12th August. 23rd July Daily Echo News article “Dozens of parks across Hampshire have been named the best in the country after being awarded a Green Flag Award”. The photo of St.James’ Park is from the WI Tree Planting ceremony in October 2015. 29th March Daily Echo News article “Eggsellent Day of Fun for Families at St.James’ Park, Shirley”. 22nd November Daily Echo Article “You Know That Face” about Paul Salmon, ParkLife Café Manager. 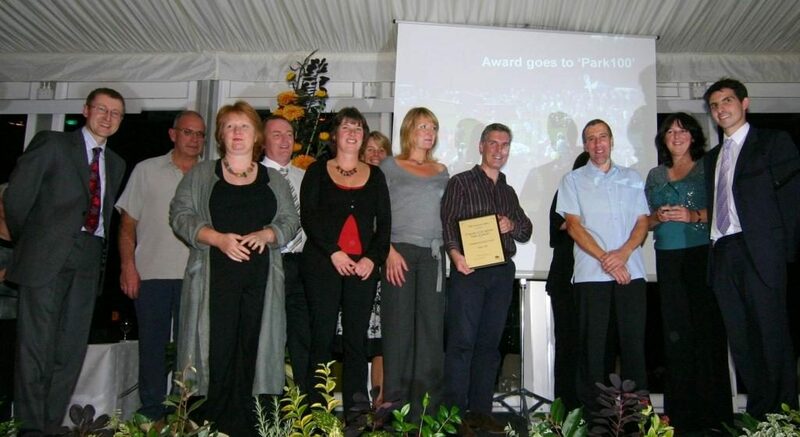 27th August Daily Echo website News article “St.James’ Park wins accolade in National Lottery Awards”. 24th July BBC Radio Solent Alex Dyke show: Alun Newman gave a “last day to vote” plug for St.James’ Park in the National Lottery Awards. 12th July Daily Echo website News article “Park in running for top award”. 27th June Southampton News Extra p.11 “Park Friends’ Plant Party Fun” – article with photos on the Plant Party in the Park held at St.James’ Park on Sunday 23rd June. 26th June Daily Echo website News article “St.James’ Park, Southampton, in running for National Lottery Award”. 15th May BBC Radio Solent Featured item on Julian Clegg show – Arthur House and children asking him questions at the FoSJP History Research Group‘s Educational Workshop atSt.James’ Park on Tuesday 14th May. website Photographs of The BIG Event on the News Gallery “Weekend in Pictures” for 7th – 9th July. 7th July Showcase Performance Groupwebsite Photographs of Showcase Performance Group performances at The BIG Event. May Shirley Hooter Photographs and article: “St.James’ Park – Our Park” in Shirley Junior School‘s magazine. p.17 “Your Hampshire Heritage” section, article by Keith Hamilton: “£1.5m Transformation of ‘Shirley Rec’” about local resident Don Smith’s painting of St.James’ Park. February Oral History Societywebsite Report from the Regions – Hampshire – article: “St.James’ Park – Shirley Heritage Project” on the arts based projectsundertaken by the Shirley Heritage Project. At link above, click on Regional Report tab and search for “Shirley”. p.15 Photographs and article: “Youngsters enjoy Play in the Park event” about the official re‑opening of St.James’ Park on Saturday 16th July. 1st September BBC Radio Solent Featured item on Jon Cuthill show: interview with Nichola Caveney (FoSJP Chair) and Mike Smith (FoSJP Vice-Chair). p.19 Photograph and article: “Port puts £20,000 in the pot for café” about DP World Southampton‘s very generous donation to FoSJP towards fitting out the kitchen in the newParkLife Café. 9th July BBC Radio Solent Featured item on Jon Cuthill show: interview with Mike Smith (FoSJP). 5th July BBC Radio Solent Featured item on Steve Harris show: interview with Martin Gardner (FoSJP), Cllr Jeremy Moulton (Cabinet Member for Resources and Workforce Planning), Helen Saward (SCC Project Manager), and Park visitors. e-Newsletter p.3 Photograph and article: “The People’s Park – an Oral History Project in Southampton” by Michaela Lawler-Levene (FoSJP History Coordinator). p.17 Photographs and article in Green News section about Green Nose Day event held at the Park in October 2009. 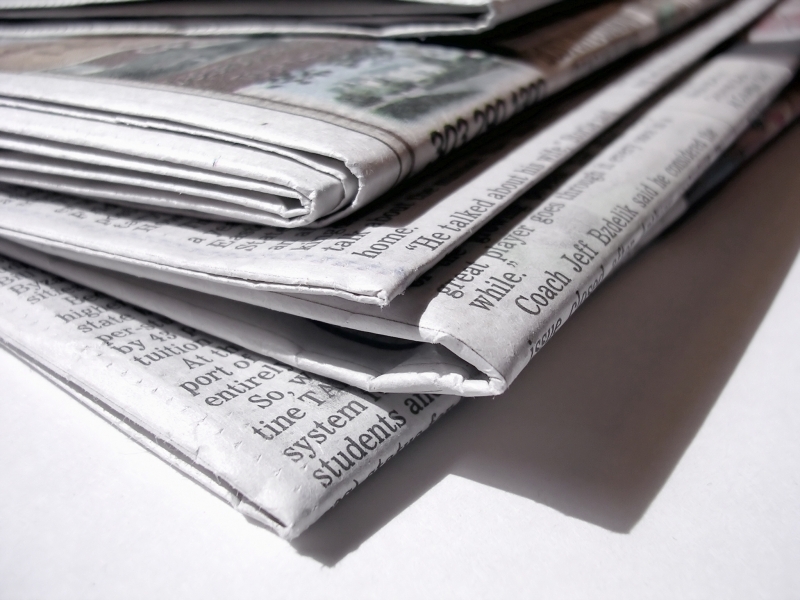 First News is a weekly national newspaper aimed at children aged 7-14. December Oral History Societywebsite “Reports from the Regions 2009” – article in South East / Hampshire section about Shirley Heritage Project‘s oral history project (search for “FoSJP”). p.8 Photograph and article: “Green Nose Day at the Park“. pp.22-23 Photographs and article: “A Park for the People”. Peter Law looks back at the long history of the green jewel of Shirley. Double-page spread – left page & right page . 16th October BBC News website Video news: “Cash boosts for Southampton park“. 15th October BBC Radio Solent Featured items on Jon Cuthill show: interview with Nichola Caveney (FoSJP) and children in the Park and interview with Chris Packham about the positive impact of such grants for wildlife and for the community in general. 15th October Southampton City Council website News and Events article: “Southampton park scoops the jackpot”. 15th October Big Lottery Fundwebsite News release: “St.James’ Park receives over £1 million for major improvements”. 15th October Heritage Lottery Fund website Media Centre article: “Everyone’s a Winner! £18 million to UK’s parks”. vol.37 no.2 Oral History SocietyJournal pp.17-18 Shirley Heritage Project‘s oral history project and its FoSJP origins featured under “Current British Work” – South East Region – Southampton. p.3 Photograph and article: “Shirley park wins calendar_event prize”. 3rd November Daily Echo Photograph and article: “Lottery cash boost for park revamp”. p.10 FoSJP featured in an article focusing on specific areas in Southampton, entitled “Focus on Shirley”. p.7 Pukaar News Section – Article and 19 colour photographs featuring Park100 celebrations entitled “Centenary at St James’ Park”. p.17 Shorts Section with photo, featuring forthcoming Park100celebrations. pp.24-25 Hampshire Heritage Feature by Keith Hamilton for “Love Parks Week 2007”. Headline: “Centenary celebration for urban oasis”. Features Park100 centenary celebrations, Mrs Crate’s personal memories, and 1930 photo of Hick’s Dairy float in Shirley Carnival, pictured in the Park. 18th June Saints Radio Advertising Sine Star Project, who played at Park100 event. 17th June BBC1 Politics Show Featured in programme on Parks and Green Spaces for “Love Parks Week 2007”. p.11 Photos cutting celebratory cake and parachute games. Article featuring FoSJP First Birthday Party event. p.8 What’s On Section. Art in the Park event. 1st March Southampton News Extra p.6 Community News, Shirley. Advertising re‑opening of the FoSJP Kiosk. p.17 Featured in “calendar_event Marks for Parks”. 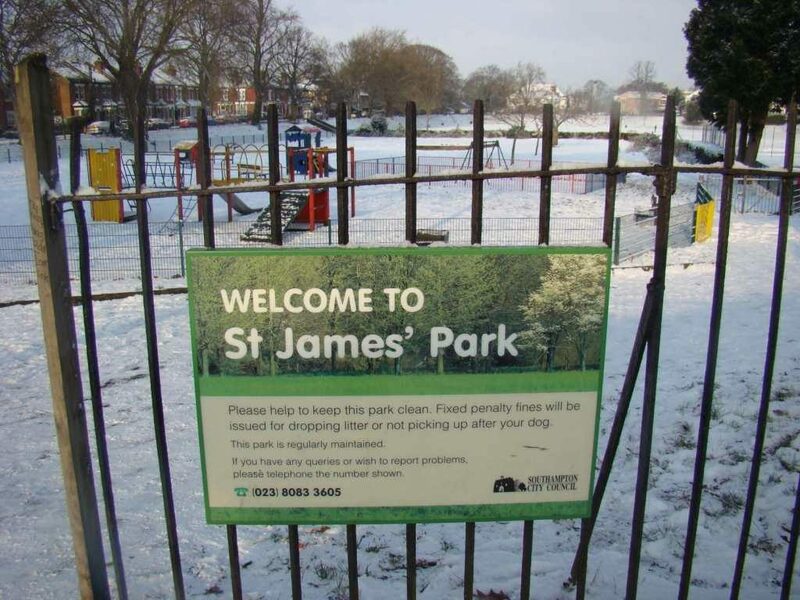 “St.James is Favourite Park”, voted Southampton’s best Community Park. 7th December Southampton News Extra p.10 Photographs and article: “Children get busy rustling up leaves in St.James’ Park“. 2nd November Southampton News Extra Photograph and article: “The great bulb planting“. 11th September Daily Echo Photographs and article celebrating the Park being awardedtop place in Southampton Open Spaces Award Scheme: “Green Jewel of Shirley”. 24th August Echo Video News Article on opening of the FoSJP Kiosk. 12th August Daily Echo “Snack attack on St.James Park”. Photograph and article about opening of the FoSJP Kiosk.